Are You Considering Psychoanalysis? - Description | W. W. Norton & Company Ltd. 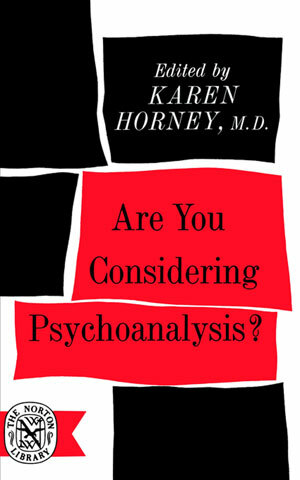 In this book, Dr. Horney discusses the possibilities ofself-analysis—to what extent individuals can use the techniques ofpsychoanalysis on their own to solve problems. In this work, Karen Horney explores the basic structure of neuroses in the context of their cultural assumptions. As a psychoanalytic pioneer, Karen Horney questioned some of Freud's formulations of psychosexual development, particularly in relation to women.